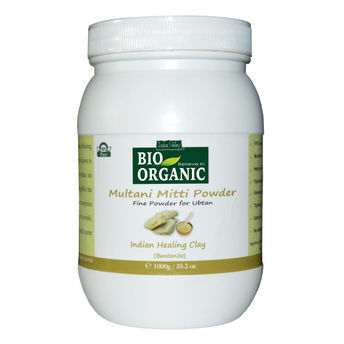 Indus Valley Bio Organic Multani Mitti is a gentle exfoliating agent and a natural of Magnesium Chloride that is known to reduce sunburn & inflammation. Offer extraordinary cooling effect that leads to distress and refreshes the skin. It tends to improve complexion and texture of skin.